I know there is an e85 pump on the Point Mugu base, but I heard MP's are really pissy about modified cars. Welcome and awesome setup i'm sure it's a fun all around car. 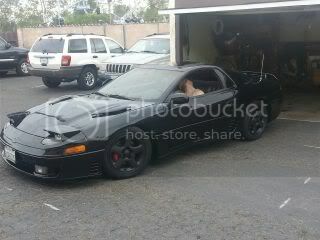 I'm down to race, I didn't build this beast just for her to look pretty, lol. Welcome to Oxnard! I'm currently stationed in Mississippi but you might see my GSX being driven around there in Oxnard.